Minister of State for Home Hansraj Ahir said Pakistan has violated the ceasefire along the LoC in Jammu and Kashmir 771 times till December 10, and 110 times along the IB till November-end. 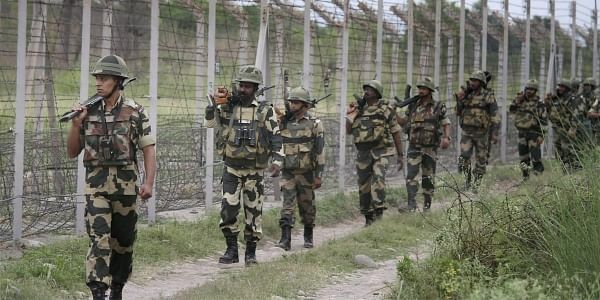 NEW DELHI: Pakistan violated the ceasefire a total of 881 times along the Line of Control (LoC) and the International Border (IB) in Jammu and Kashmir this year, killing 30 people, the Lok Sabha was informed today. No cross-border firing has been reported in other states except Jammu and Kashmir along the border with Pakistan, he said replying to a written question. In 2016, there were 449 incidents of ceasefire violations in which 13 civilians and 13 security personnel were killed and 83 civilians and 99 security personnel were injured. PTI ACB SMN .